The first International MICЕ Geography Show got the highest grade from meetings industry experts. After the second workshop and exhibition, that were as grand as the first one, Russian ballet in the Metropol was to remember. Will this level be kept for the third time? The team of the Russian Association of Business Travel is even going to surpass it. This year won`t do without magic! So don`t be surprised if you meet fairy-tale characters at IMG Show — 2017 that will be held on October 25 and 26. 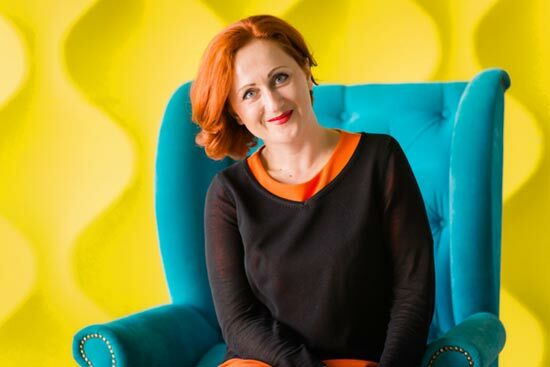 Irina Mikhalkova, key account director of ABT-ACTE Russia, is speaking about the forthcoming event. - Irina, IMG Show will be held at different venues simultaneously and one month later this year. Why did you decide to move the dates of the event? 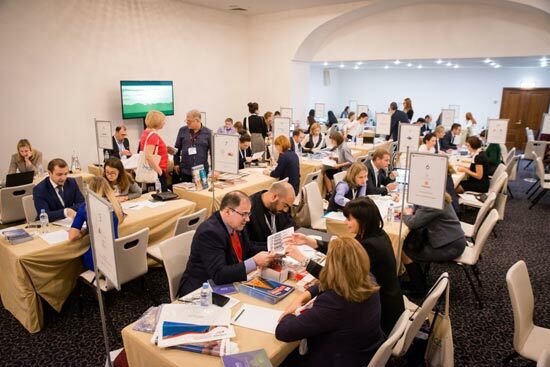 - Indeed, IMG Show used to follow the “Leisure” travel exhibition – we thought it was more convenient for foreign exhibitors to combine both leisure and MICE segments in one trip. But it turned out to be rather an extra burden for them. This year we have taken into account providers` requests and moved the dates. Besides, September is a very busy month. This is the time when many people have just returned from their holiday. - In 2016 the times were hard for the market, many traditional MICE exhibitions were cancelled… Is the meetings industry feeling better? - We are glad with all our hearts that Antor MICE exhibition has returned a year after. We congratulate our partners! Besides, the situation in the meetings industry is favourable in general: there is a thaw in the market! As you may know, this year the Government of Moscow invited the Russian Association of Business Travel to be a co-exhibitor at several international exhibitions, including ITB Berlin, ATM Dubai, IMEX Frankfurt. 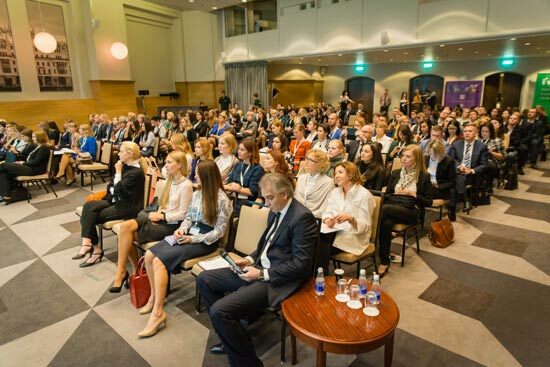 ABT-ACTE Russia experts used various professional venues to speak about the destinations and event formats that were in demand with Russian corporate buyers at the moment. In order to represent the real situation in the MICE industry, we have held a real survey! Thus, corporate buyers arrange educational sessions with incentive elements or team building, customer parties (how can you do without them! ), hold international colloquiums, exhibitions, conferences, send employees to so-called “relax-tours to increase their loyalty”, and so on. At the same time, respondents named a completely different amount of event participants, we found not only the numbers like 30-40 and 200-300 persons, some companies even checked the 1000+ variant. In the survey, we asked corporate buyers to name up to five main event destinations in 2016, as well as the cities where they had already held or were going to hold events this year. Judging by their answers, destinations have become more varied. Some added Yaroslavl, Kolomna and Kazan to Saint Petersburg and Moscow region. Some included Amsterdam and Greek resorts into their destinations list, apart from the Russian capital, Prague and Sochi. One corporation is now choosing between the Netherlands, Denmark, Norway and Finland as a destination for their foreign trips, after going to Great Britain. Israel, Dubai, Macau and even Cuba have appeared on the MICE map. I would like to point out keen interest in Georgia on the part of event planners. About 20% of respondents included this country into their destinations list for 2017. - And what is the reason for such Georgia’s popularity, in your opinion? - We have discussed this situation with many colleagues, including our Georgian peers, who included representatives of business travel agencies and corporate buyers. In our opinion, one of the reasons was a decrease in the number of business trips to far-abroad countries, in the crisis many MICE organizers have turned their attention to our “neighbours”. That is, in the beginning it may have been “forced love”. But later, when they “tasted” Georgia and experience in event planning appeared, and the word of mouth had its effect, the feelings became stronger. We sincerely congratulate Georgia on becoming one of this year`s favourite MICE destinations, it deserves it! And upon our estimate, it may keep its leadership in 2018. - Will market requirements affect the panel of exhibitors? Do you try to invite more providers from the countries that are popular with corporate buyers to participate in the exhibition? - As a venue that unites providers and corporate buyers, we are interested in representing the facilities of various MICE destinations. So, we are looking forward to seeing exhibitors and partners from all the countries among our delegates! The Association does not set itself a goal to invite as many participants from a certain country as possible, even if it is popular with corporate buyers. 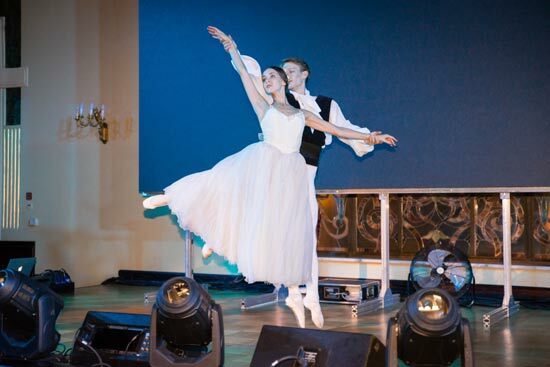 Moreover, we are limited with the size of the venue – the Ballroom in The Ritz-Carlton Moscow holds only 100 working zones. Therefore, we cannot give 10% of room to the representatives of one destination only. And we suppose, it is a great advantage for all the exhibitors. Nevertheless, we expect a large delegation from Israel at IMG Show — 2017: last year misunderstanding in some political issues chilled the relations between the two countries to some extent, but at the moment our cooperation is expanding. - And still, will the number of exhibitors increase? There were 80 of them last year, as far as I remember. - IMG Show will have its third anniversary this year, the exhibition is growing, and it is natural. Some providers have been with us for all these years, and we are grateful to them for it. But of course, more and more new companies are joining us. New exhibitors include Standart Design Hotel, Elite Hotels Istanbul, Hilton Worldwide, Milan Hotel, Moscow Country Inn Club, Barcelo Hotels, Bahia Principe Hotels & Resorts, Palmira Palace Yalta, Worldhotels, as well as MB Prestige, that has become our transport partner. - Will there be more business travel and MICE service buyers as well? - Yes, we plan to increase their number up to 500. This year we have started cooperation with new partners who will help us attract new participants. At the same time, it is very important for us not to make it a mass event, because the workshop will be held on one day only, October 25, and providers may just not have enough time for everyone. Each of 100 exhibitors will be able to hold up to 24 meetings, or 48 in case there are two company representatives working in parallel and without a break. We will also have ambassadors. We are choosing three IMG Show ambassadors from corporate buyers and another three from agencies representing various business segments (a MICE agency, a TMC, a DMC specializing in individual group travel). The representatives of IMG Show – 2017 will be industry experts, socially active and charismatic. - Will you keep the rule of the minimum obligatory amount of meetings for the participants of IMG Show-2017? - Indeed. It will be the minimum of 15 for hosted buyers from the regions, and three for Moscow corporate buyers and agency representatives. The system of meeting appointment will let us check compliance with these requirements. Extra activities will run parallel to the workshop. There will be lectures in the Buyers Lounge. Thus, one of IMG Show partners will arrange a practical dive into KPI calculation for the meetings industry – the participants will discuss in detail key efficiency indices of trainings and corporate events. So, buyers will get an added value from the point of view of their professional growth. Whatsoever, the first day, although it is the more serious one, will be arranged in the form of a festival. For example, a creative element will be introduced by Artyshok team that held a faery master class on drawing yachts for Association members and partners not long ago. We hope that the creative process will give art class participants new ideas and a fresh view on some working issues. - In the previous years a special introductory program was worked out for hosted buyers from the regions. The schedule of IMG Show — 2017 is changing – the workshop is to be held on the first day, and not on the second. Will there be a welcoming meeting? - The representatives of ABT-ACTE Russia often take part in world fairs themselves. And we understand, that guests need to fix themselves up after a flight, to have a rest before the event. We do work in such a branch of industry, where you may be judged by your cover. Moreover, more than 80% of IMG Show participants are girls, we like looking good. This is why we expect hosted buyers to arrive on the eve of the event this year, on October 24. And there will be a welcome seminar and a standing reception for them in Azimut Hotel Olympic Moscow. In 2017 Baltschug Kempinski and the newly built complex that includes ibis, Novotel and Adagio have joined our partner hotels where event participants stay. That is, this time hosted buyers will come for three nights, and not for two. And we will have to make an even more rigorous selection of corporate buyers from the regions this time, despite the fact that their number at IMG Show – 2017 may be not 50, but 70. Besides, this year the list of cities our buyers come from includes Voronezh and Rostov-on-Don. On September 28th a regional ABT-ACTE Russia conference, the first in this city, will be held. - What will be the topics of IMG Show — 2017 educational conference held on the second day? - The work on the educational program is still under way, but some topics have already been approved. For example, Ganesan Supya, Worldhotels regional director in Great Britain, Ireland, Scandinavia and Russia will speak about special aspects of dealing with requests from Russia in different countries. We know very well that Friday is a day-off in Arab countries. And do you know that people do not work on Sundays in Germany? Say, if you plan a large event for Monday in this country and decide to check the venue on Sunday, you will not be able to do it. It is just one of examples of cross-cultural communication playing a tremendous role in business. The topic is very interesting! You know, the stages and procedures of event planning vary even in different cities of the same country. We came across it ourselves when we held our conferences. You can not use the same pattern everywhere. As one of our former colleagues who moved to Saint Petersburg noted, people in the Northern capital do not understand the phrase “I need it yesterday”, which is so popular in Moscow. Working day and night is unacceptable for most providers there. Yes, MICE can be a surprise! There is one more speech in our schedule, in which the speaker will provide characteristics of different buyer types. The international classification will be prepared by one of the largest marketing agencies in the world. - Will this topic be more interesting for providers? - And for buyers as well! I am sure they will be curious to know what type they belong to, about their strengths and weaknesses and tools that may possibly be used to influence them. We will compile the educational program in such a way that it is both interesting and useful for everyone who is in the hall, no matter whether they are corporate buyers or providers and what country they come from. Besides, this year we are providing support to graduates of industry-specific universities at the show. The brightest young specialists will have an opportunity to take part in the conference. - IMG Show – 2017 will end with a gala dinner. Last year it was thematic, in the Russian style. What can the guests expect this time? - I heard an interesting phrase at one of the events I attended not long ago: “Authenticity is the new luxury”. Travellers both on holiday and on a business trip really want to see and feel things that are specific for a certain place only. Second, many of us think in the following way nowadays: we do not need to have everything, but we want to try and taste as much as possible. There is the same principle when it goes about events. Nowadays everything authentic and original for a certain country is valued most of all. The things that reflect its unique character. This is why IMG Show – 2017 participants will find themselves in a fairy-tale, and our idea matches the general concept of the event perfectly! A fairy tale always has an intrigue, a task that is to be solved, like in MICE. There are obstacles on the way to it. Moreover, characters of Russian fairy tales often go on a trip “over the hills and far away”. We were inspired by Ivan Bilibin`s artwork. By the way, do you know that you can find his fairy-tale characters in all the rooms in Holiday Inn Sushevsky? And that one of Russian designers has created a fashion collection based on his artwork? We are glad to continue cooperation with Dyagilev Art Centre that has already given us several ideas how to introduce the fairy story. - Will you make a new story of an old one? - My colleague and I discussed “The Snow Maiden” opera opening night that took place in the Bolshoi Theatre on June 15th. In this plot, earth dwellers who survived after a disaster tried to live through a hard winter and imitated ancient rituals hoping to revive a new life. As my colleague noted, it was not a “Snow Maiden”, but a “Kin-dza-dza”! We do not think such interpretations could be appropriate for the gala dinner. Everything will be very traditional in this respect! The guests will enjoy dance turns of fairy-tale characters – Baba Yaga, a Snow Maiden, a Petrushka, a Firebird, arias from such operas as “The Golden Cockerel” and “The Tale of Tsar Saltan”. 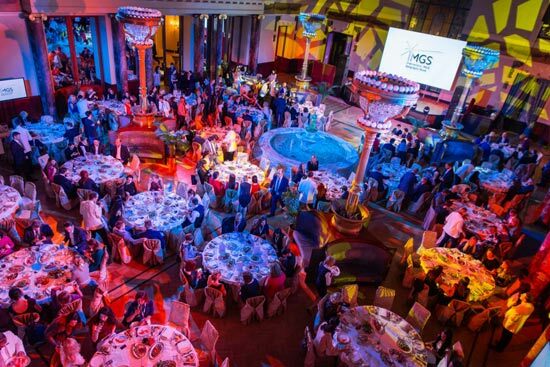 This year the gala dinner follows the educational conference on the second day and is the closing event of IMG Show. The dinner will be held in Shelk Banquet Hall on Savvinskaya Embankment. And we are sure we will be able to make a real festival. It will be a tremendous show! - Do you plan to hold virtual tenders during the dinner like you did at the exhibitions in the previous years? - Of course! There will be seven tenders for three exhibitors each. That is, 21 companies will get an additional chance to show their worth. To tell you the truth, we are very much satisfied with our last year`s results. Many companies really showed their expertise and creativity. And those who decided not to participate regretted about it afterwards. Yes, it is hard work: you have to make a video 90 seconds long matching the contents of the request. But everything is demonstrated so ceremoniously. It is one minute and a half of your glory! The whole hall is looking only at you. And this time the number of guests at dinner will be even larger – we expect 350 guests to come. The tenders will be announced on July 1 when IMG Show – 2017 website is launched. So, it is time to start thinking about ideas for your video, choose dresses and get ready for the MICE gala day!